In 2002, visiting Houston a first time, I went with considerable anticipation to visit the famed Rothko Chapel. I had read of it, though I’d seen no pictures that I recall. In my mind I envisioned entering a space in which I’d be surrounded with glowing color – the signature intense hues of this color field painter – and I was flushed with a quiet excitement. When quite young, I’d fallen for this painter’s work, standing at the Chicago Art Institute’s canvases, inches away from the surface, swimming in vibrant color, then pulling back to see the whole field of reds, oranges, blues; the delicate feathers of the borders between the simple forms, the soft painterly touches, the intensity of the subtle play of hues. He was, without question, one of my favorites. 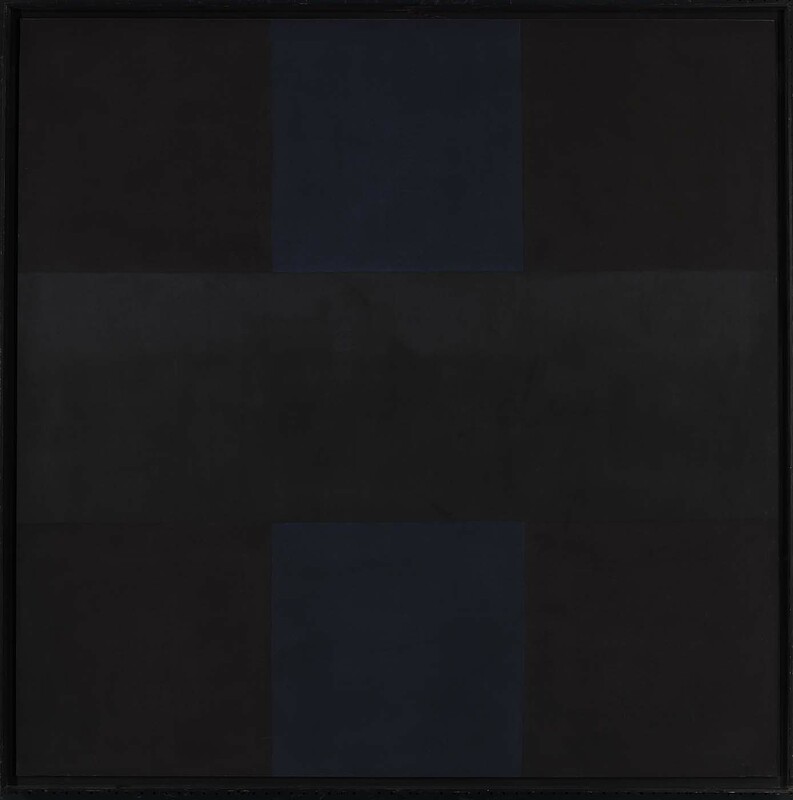 15 years ago, on entering the Miesien-style building which the artist shaped and requested, I found myself dumbfounded: instead of the subtle but intense play of color I’d envisioned I was faced with a sequence of huge panels, of deep very dark gray-blacks, some framed with very very dark maroon, and the painterly qualities which enlivened Rothko’s earlier work almost banished, with rather crisp graphic lines defining these initially almost invisible frames. Almost as if Ad Reinhart had been shuffled into the deck. Black on black. I recall at the time being very disappointed not getting the burst of color which I’d imagined, and I suspect in my disappointment I did not exactly give it the time I would have otherwise. Passing the entry foyer, with its admonition to set cell phones off, take no photos and to follow the rules and be respectful, I entered, and saw a woman sitting at a little desk, there to enforce the decorum requested. Perhaps it was the flat overcast sky and the indirect light from overhead, but, once again, I was struck by the near colorless pall of the place. 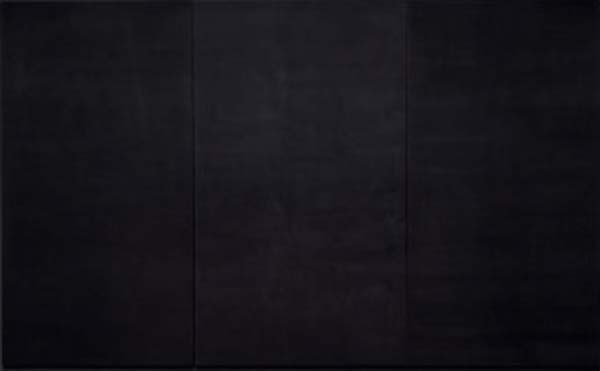 To the front, three panels, initially appearing to be black and slightly gray, sit glumly together, edge to edge. 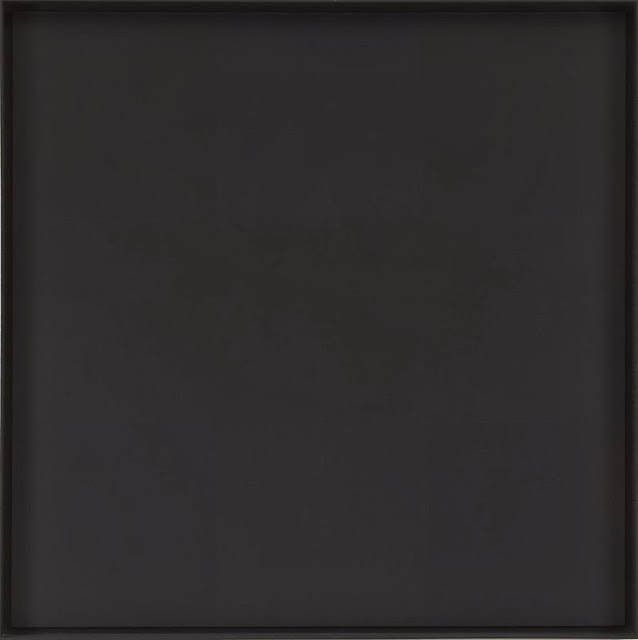 On the adjacent walls of the octagonal shaped room’s walls sit companion pieces, similarly colorless though some of these huge panels have nearly invisible dark maroon frames holding their leaden fields; the rear panel holds two equally dark leaden rectangles. A few people sat on the benches, one reading, following the instructions to sit silent for meditation. I allowed myself to wander from canvas to canvas, allowing my eyes to slowly dilate, and after some minutes the slight modulations in the dark gray expanses revealed themselves, vague washes akin on some of the panels to layers of a dark gray fog, as if in some Asian landscape work. 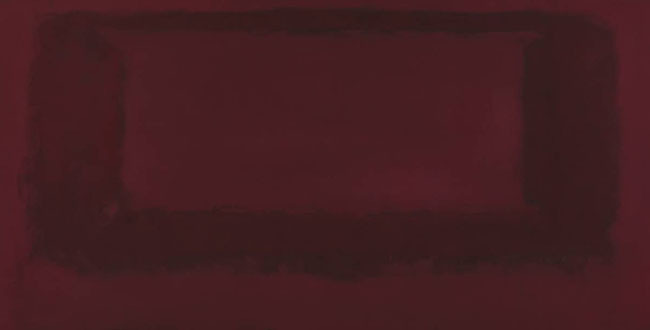 The maroon framing areas slowly became more evident, clear graphic edges, sharply delineated unlike Rothko’s usual hazy transitions. After some more minutes a closer inspection unveiled slight hints of painterly smudges along the edges of gray-on-gray areas. 20 minutes of such careful looking revealed little more, and whatever was there seemed hardly to warrant the effort. As Gertrude Stein said of Oakland, there was no there there. 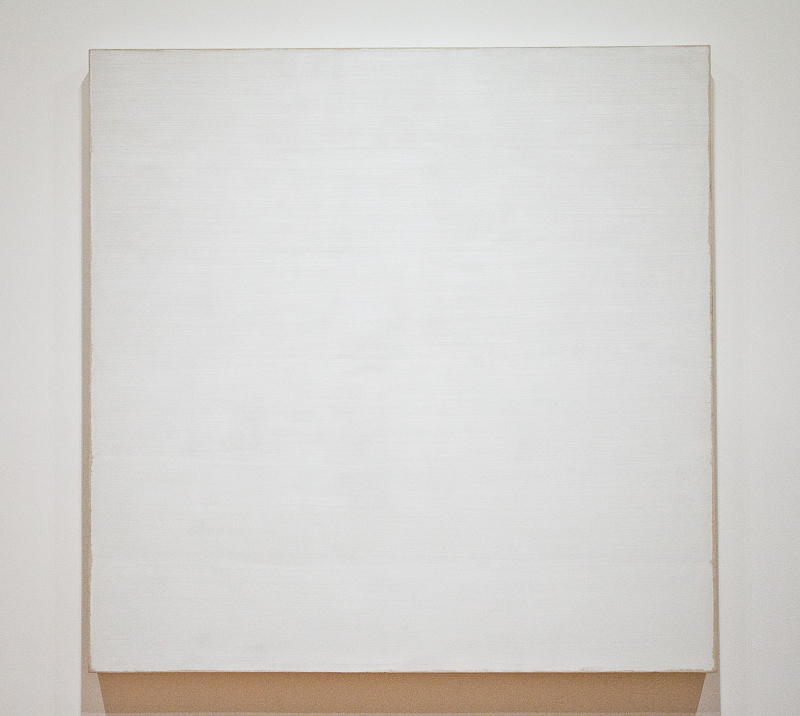 While I suppose one could construct some kind of intellectual or theological argument around these paintings – that the niggardly almost-nothing constitutes a Zen renunciation, or that the slow and reluctant unfolding of the panels’ “content” hints at theological mysteries, or… But this teasing out of meaning is more squeezing blood from a rock than real thought. 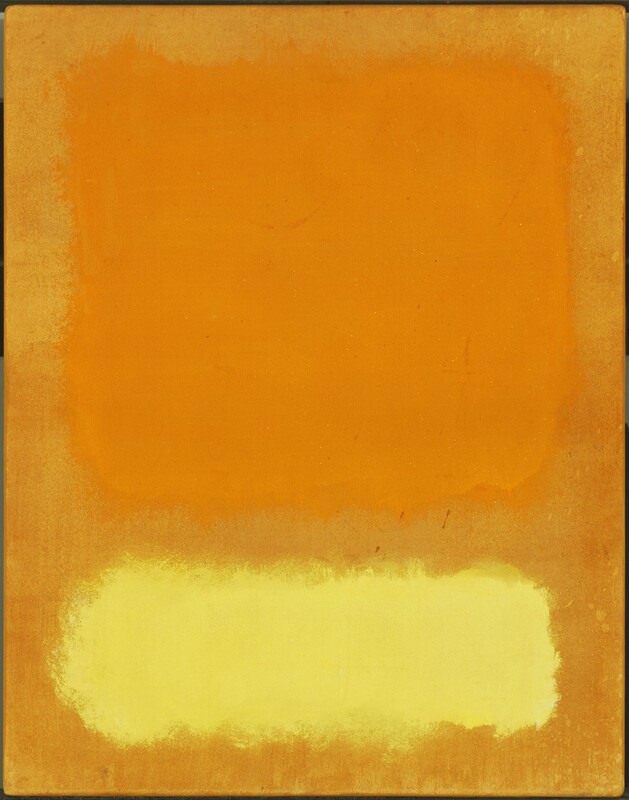 The paintings in the Rothko Chapel themselves are simply a failure, a dead-end corner into which Rothko had painted himself, a null point wherein a rapturous colorist sucked the life out of his own work, and replaced it with vast leaden canvases devoid of the ripe energy of his earlier work. The effect is not celebratory or joyous or spiritual, but funerary. 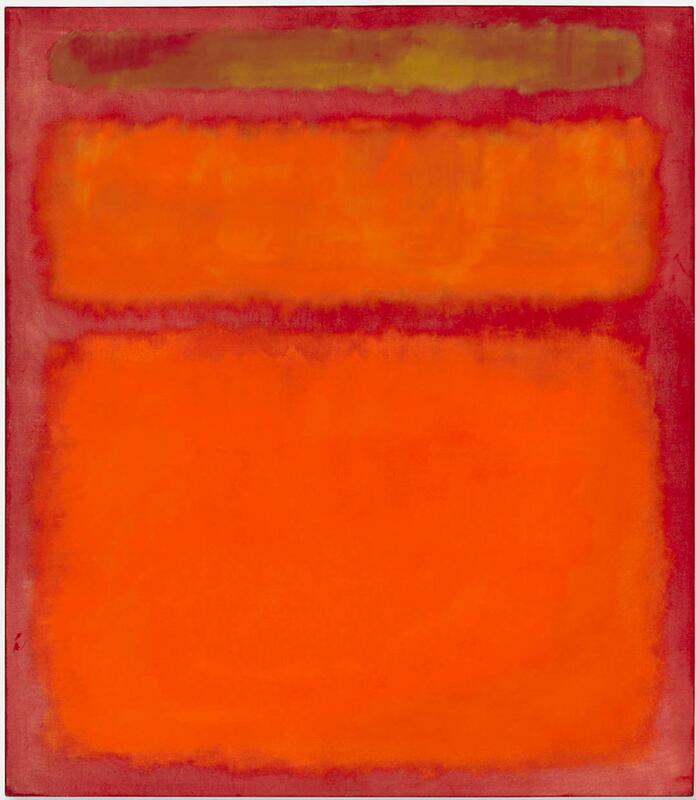 And yet our art establishment has elevated the Rothko Chapel to an exalted status, a mecca for cultural tourism, where we are to genuflect as at the Sistine Chapel before the divine powers of an alleged masterpiece. So our visitors come, duly prepped for a spiritual experience, hushed and reverent, and stand before these canvasses, admonished that they must respectfully fall into a meditative prayerful state. While I was there the mumbo-jumbo appears to have worked as a handful of people filed in, sat, and remained silent. A mother tried to silence her infant daughter. One young man entered, sat before the left panel of the 3 piece “altar”, and facing outward, rather ostentatiously took a full lotus position, and presumably meditated. I was prompted to think of the admonition of the Bible to not make a show of one’s prayerfulness. Having given the chapel the due time to let my eyes adjust, pupils widening so as to discern the minimal modulations on the canvases, the maroon elements of some works emerging more clearly, and the large fields of gray-on-gray to show their slight shifts in tone, I nevertheless concluded that the appropriate tale to tell would be of the Emperor’s New Clothes. 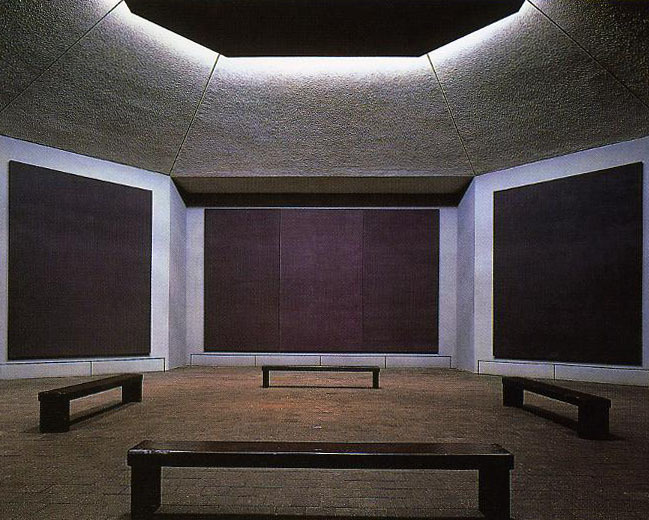 The Rothko Chapel, despite the institutional hype, is a dud. 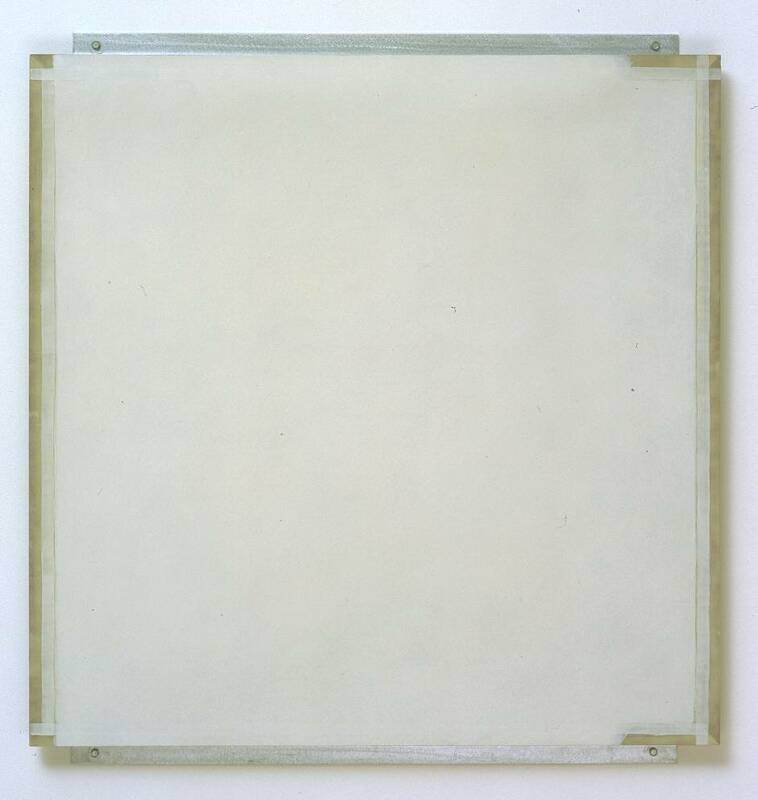 As art it is thin stuff, requiring the viewer to tease out some “meaning” or feeling from the most minimal of painterly traces. While the scale is indeed monumental, the actual art is miniature. 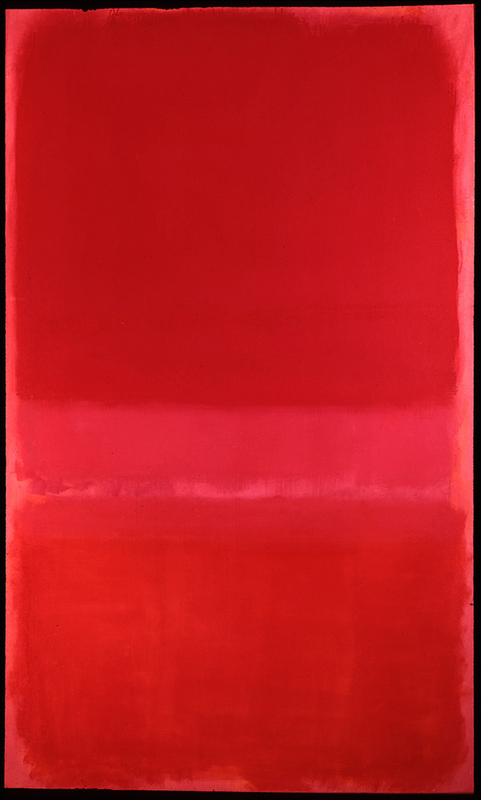 There is, by default, an admission by the Rothko Chapel organization, that all is not quite as they would have it appear. In the brochure they hand out, it is noted the chapel was commissioned by the Menil’s in 1964, and opened in 1971, while Rothko died in 1970. They neglect to inform the visitor that he died by his own hand, in his NYC studio. 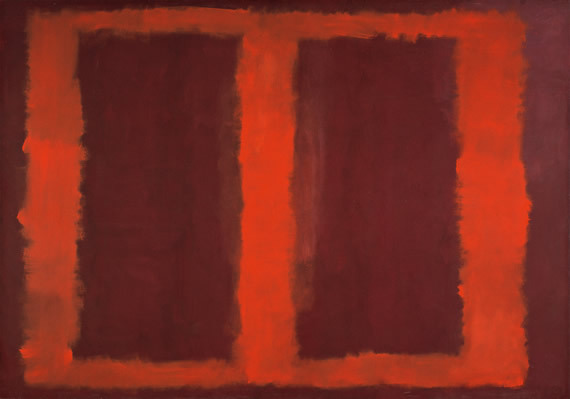 His paintings had been leached of color; the last crimson Rothko red blossom of life was his own blood on the floor which surely dried to a deep dark maroon akin to those of the paintings he left behind as a suicide note. As I left the chapel, the young self-pleased man remained in his lotus position, and another man used some pillows to take a pious kneeling posture. 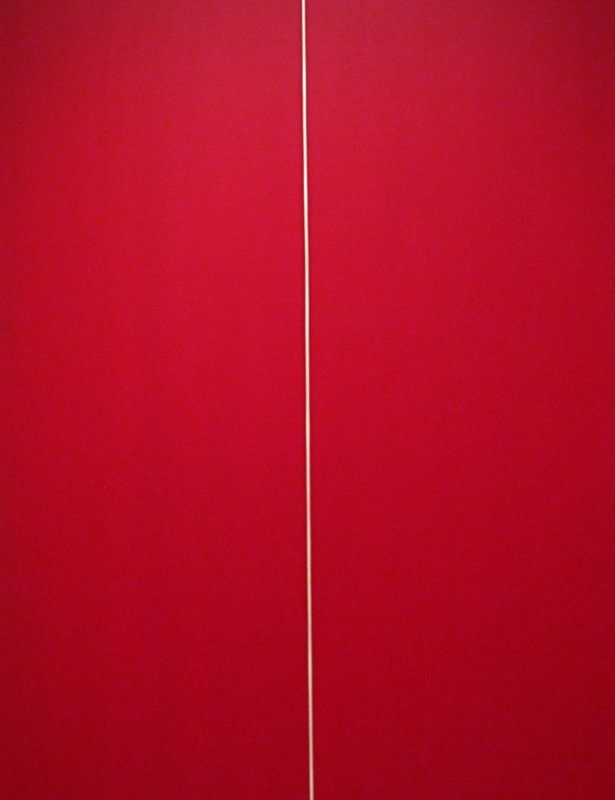 Enforced solemnity reigned, and the ghost of Rothko hung in the air, naked and despairing. And as well, the ghosts of high-modernism revealed their exhaustion.